Protecting the whistleblower who laid bare the uglier sides of the American administration. Edward Snowden has killed nobody, kidnapped nobody. He has neither beaten anyone nor blown anything up. He is nevertheless pursued and under siege like a terrorist. Why? Because he has revealed inconvenient truths about the actions of the authorities of his own country. He has revealed to the world that the American government systematically monitors the behavior of millions of its own citizens by a massive intelligence operation and the surveillance of telephone and Skype conversations, Facebook postings, emails, and chat groups. 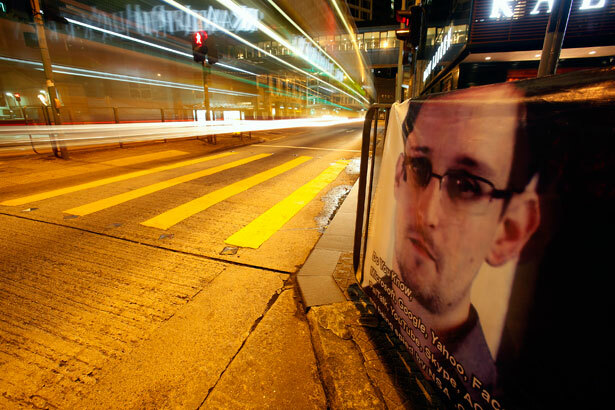 Snowden’s revelations lay bare the ugly sides of the American administration. They also lay bare something else: the heartlessness, cowardice and hypocrisy of our own, European democracy. To Snowden’s request for political asylum, both old and new democratic European states have staunchly refused, hiding behind rules, codes, and pathetic bureaucratic arguments. What has happened to our commitment to civic freedoms and human rights, the putative basis for democracy, to which our political class continually appeals? Snowden, after all, regardless of his intentions, has come to the defense of regular citizens fed up by the pathologically flourishing system of surveillance. The fact that he must seek help of the autocratic Putin is a disgrace for democracy. The fact that the only governments so far offering him protection are themselves dictatorships is a scandal for democratic states. The indifference and spinelessness Europe’s democracies have shown on these matters brings them enormous discredit. We expect from the Polish authorities a compliance with Polish law, which requires a determination whether an individual seeking asylum, from any country whatsoever, will be subject to torture or the death penalty if returned. We expect our Polish representatives to raise the Snowden case in both the European Parliament and the Parliamentary Assembly of the Council of Europe, in order, in recognition of his actions, to extend to him the protection of those very democratic institutions that have been created in Europe precisely for the defense and dissemination of civic freedom and human rights. Barbara Labuda—born 1946, active with the Workers Defense Committee in the 1970s and with Solidarity and Solidarity underground in the 1980s, parliamentarian from 1989 to 1997, served in the presidential administration of Aleksander Kwasniewski. Józef Pinior—born 1955, activist in Wroclaw Solidarity in 1980-81, responsible for saving union funds from confiscation by martial law authorities; elected to European Parliament 2004-2009. Zbigniew Bujak—born 1954, worker in tractor factory in 1970s, leader of Solidarity in the Warsaw region in 1980-81, key leader of underground Solidarity in later 1980s, participated in Round Table negotiations of 1989, parliamentarian from 1989 to 1991. Wladyslaw Frasyniuk—born 1954, bus driver in 1970s, leader of Solidarity movement in Wroclaw in 1980-81, key leader of underground Solidarity in later 1980s; businessman since the 1990s. Jonathan Schell discusses Edward Snowden, Chelsea Manning and the new American dissident.